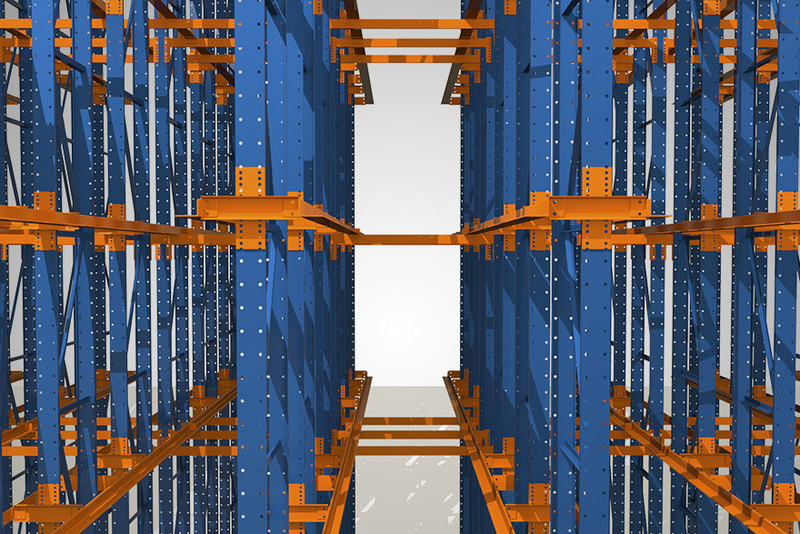 Pallet racks are the most commonly used warehouse storage system. Pallet racks are designed to store almost any types of good for both commercial and industrial use such as carton boxes, heavy duty retail products and inventories, crates, bulk storage, and any type of raw goods and finished products. Our engineering department has designed and produced countless pallet rack shelves for almost every single industry and applications from the printing to the food and beverage as well as the aerospace industry. COSME manufactures structural racks that are defined by their strength. 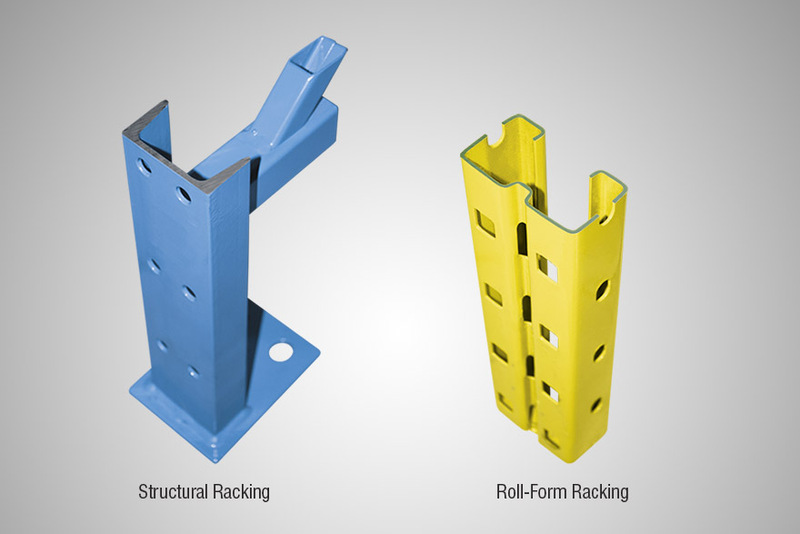 Being incredibly resistant to front and side impacts, they do not need to be maintained or replaced occasionally like roll-formed upright rackings. 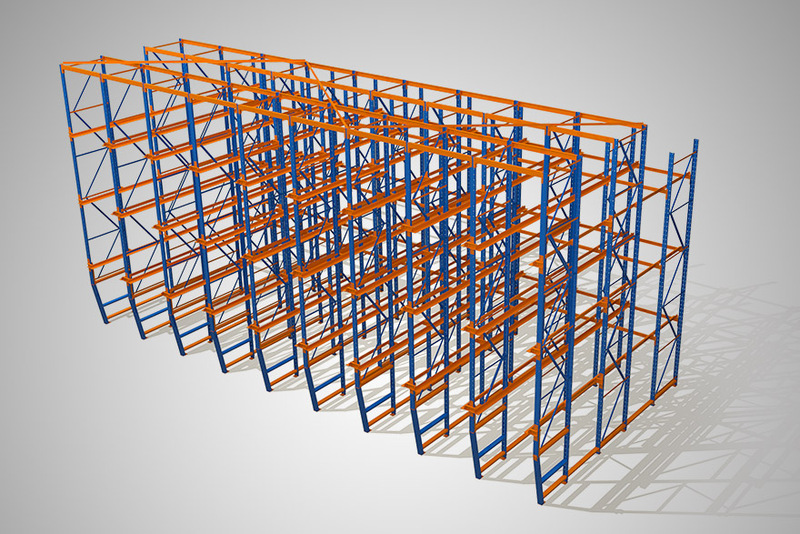 Structural racking represent long-term shelving solution with cost savings and reinforced security in any warehouse with heavy traffic. COSME is a manufacturer of Structural Racking while also offering Roll-Form racking, both Redirack & Teardrop compatible. If you are looking for new or used racking please contact us for availability and details.